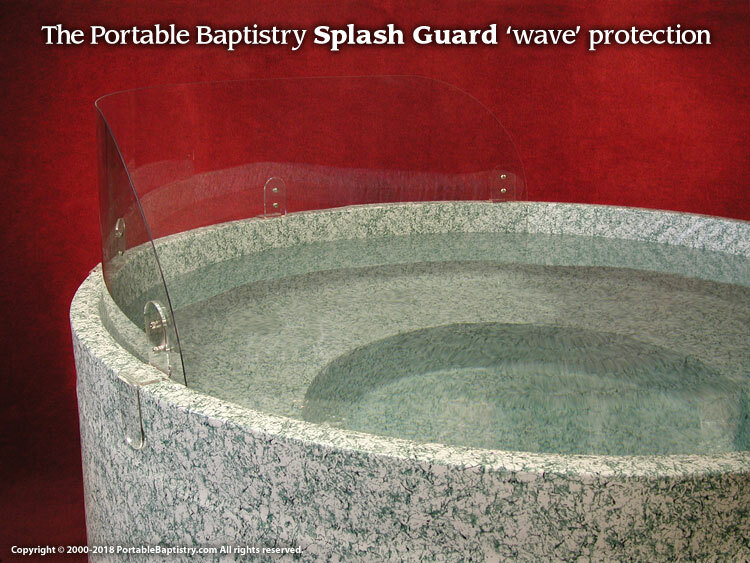 The Portable Baptistry Pastor's Choice Bundle brings the contemporary appeal, accommodating size, and unparalleled portability of the full-size Portable Baptistry with 2 superbly Grand Steps for entering and exiting with reassuring HandRails, and all the Portable Baptistry Accessories: the convenient and powerful Portable Electric Heater, the Splash Guard for wave protection, the Splash Pad for the ultimate floor protection, the Zip Cover for Baptistry protection and some security 'peace of mind', matching Towel Bin/Planters for convenient fresh Towels or decorative floral arrangements, the Portable Baptistry Care Kit with Fill Filter for keeping your investment clean and always ready, along with FREE essential accessories to enable you to set-up and baptize the day it arrives. 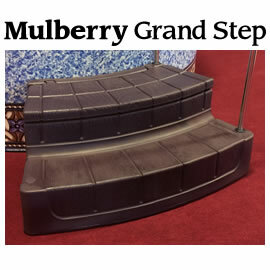 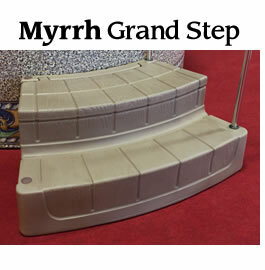 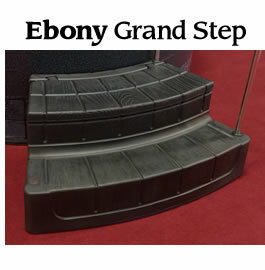 The 2 Grand Steps included provide convenient candidate entry of the Portable Baptistry on one side and easy exiting by the candidate on the other side of the Baptistry, avoiding 'traffic jams' of exhilarated candidates and helping to maintain even 'flow' of your baptism service. 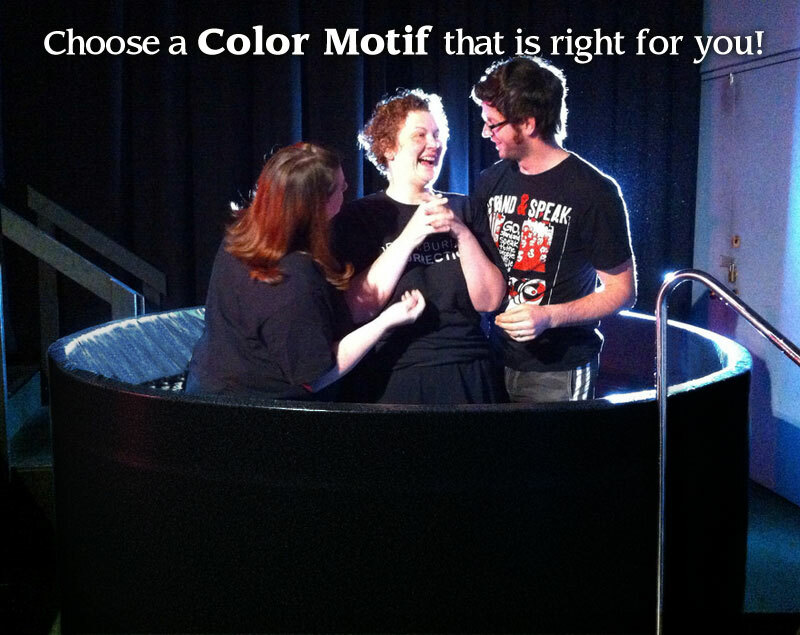 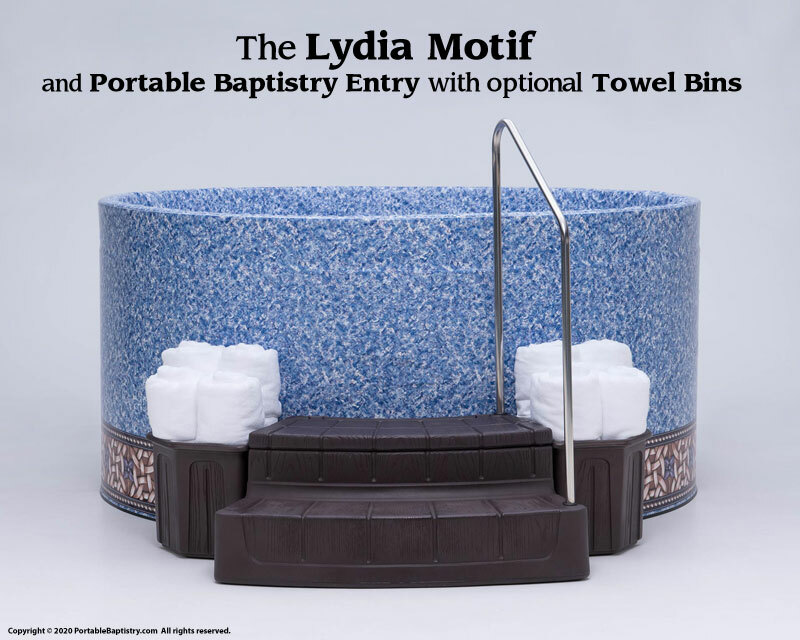 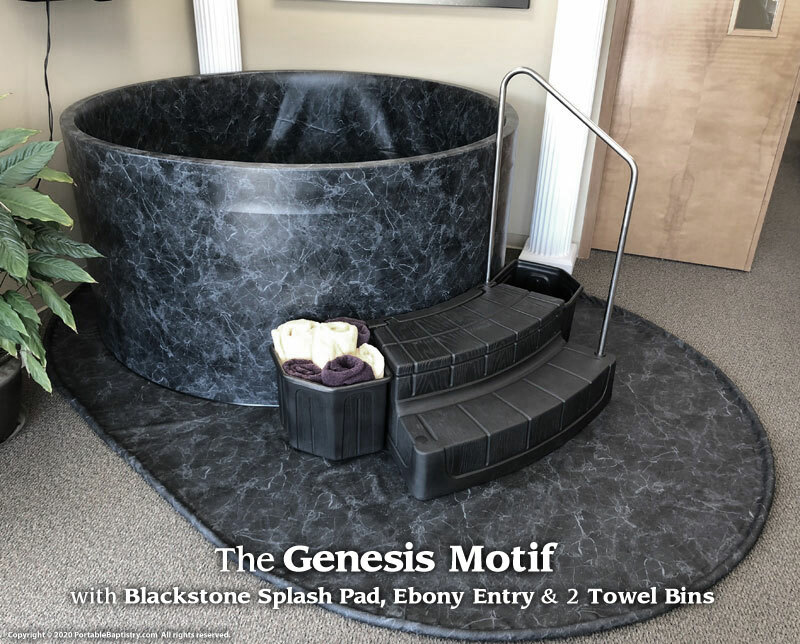 The 2 matching Towel Bin/Planters included will keep your fresh Towels dry for candidates as they exit the Portable Baptistry, or serve as complementary containers to hold appropriate floral arrangements like Easter Lillies for Easter baptisms. 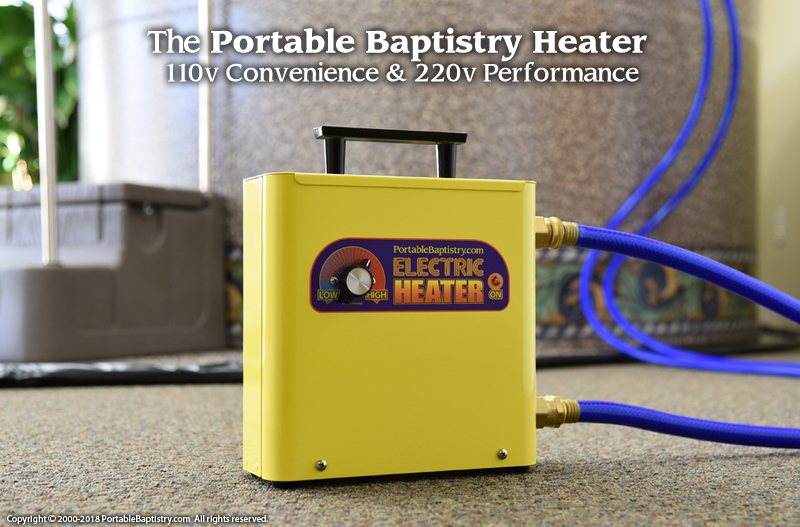 Small enough to fit in a backpack the Portable Baptistry Heater is ready out of the box for convenient 'plug and play' 110v plug operation, and is also easily convertible to 220v use. 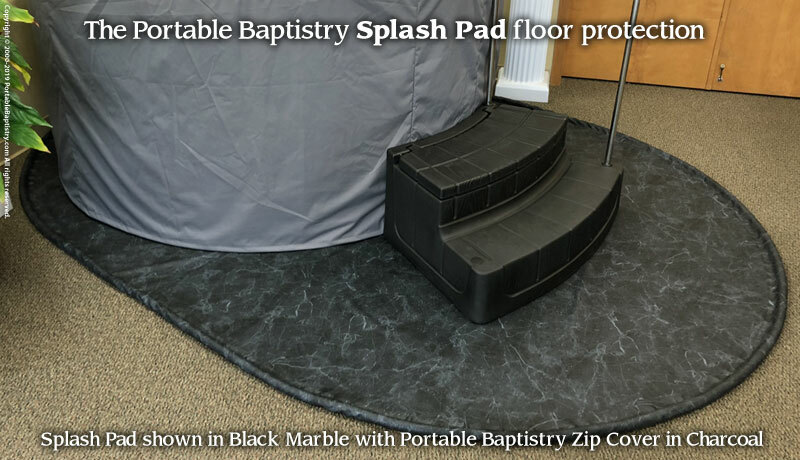 The Portable Baptistry Splash Guard stops any 'wave' off the backside of the Baptistry during baptism immersion and helps keep your floor and stage gear safe and dry. 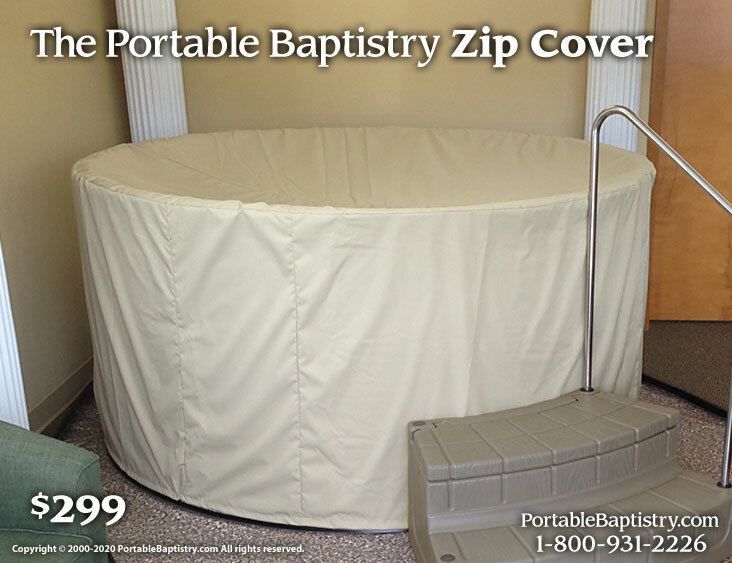 The Portable Baptistry Zip Cover zips over the Portable Baptistry when left set up and unattended providing superior dust protection, as well as some security peace of mind.